Eight days into the new year and most of us have our healthy eating plan in place; exercise routine mapped out; and commitment to being a better manager, employee, entrepreneur, wife, mother, S/O, daughter, friend, etc. on our radars ~ check, check, check. (Not an all-inclusive list, of course.) But what about getting your house in order? Literally! I’ve been told that I’m a neat freak, and maybe I am. I like order. Each month I do a little purging and a little organizing. I throw things out, find new storage options, consign and donate to Goodwill; but sometimes I get stuck on how to tackle a particular organization problem. The answer for me ~ WWMD ~ What Would Martha Do? 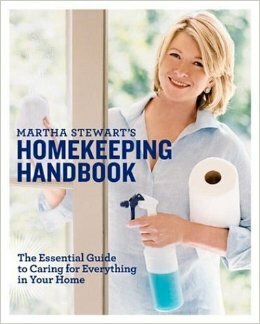 Several years ago I stumbled across the book, Martha Stewart’s Homekeeping Book: The Essential Guide to Caring for Everything in Your Home. I picked up a copy for me and my Mom, and it really has become our housekeeping/organization bible. Yes, yes, I recognize that Martha can be polarizing, and I’m not asking you to like her; but she’s my girl and knows her stuff. Now I believe in having a little help. As my Doll FT says, “Housework never killed anyone, but why risk it?” I love this quote, but sometimes we have to get down and dirty and get and our own homes in order; and Martha gives us the blueprint. 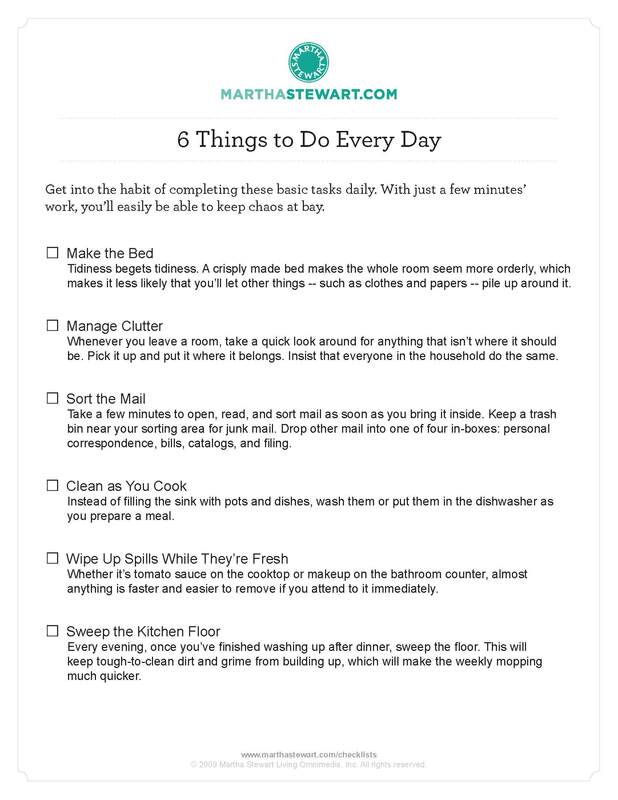 The first tip I want to share is Martha’s checklist for “6 Things to Do Every Day.” I love this list because it maps out a simple plan for keeping your house in order on daily basis. This list is do-able, definitely not overwhelming and nor too time consuming. I plan on sharing a few more organization tips in the weeks to come. Leave me a comment if there is particular topic you want me to tackle. Here’s to a “pretty organized” 2014! Lynn, I have this book also but never use it. I think I will dust it off. Break it out Jenene! It really is helpful! Doll, love this post! I have the same Martha bible and it’s great. Keep sharing the pretty! !